Grand Bois USB battery powered taillight. 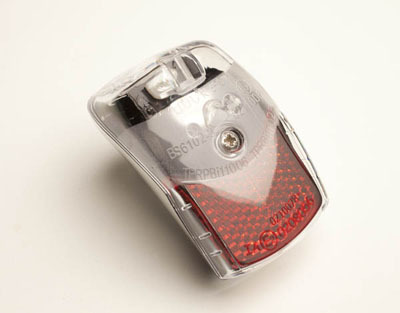 This nice looking and very bright LED taillight comes with hardware to mount on a standard seat tube braze-on or fender stays or standard frame eyelets and more. Recharge with USB. 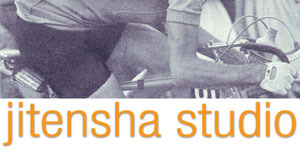 Nissen Cable Co. stainless steel housing kits for both traditional drop parallelogram rear derailleurs and modern slant parallelogram derailleurs. 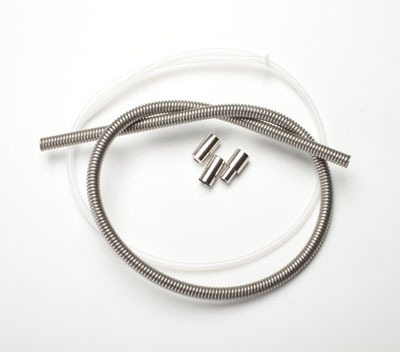 They combine classic looks with indexing compatibility by incorporating a teflon liner as shown in the photo. 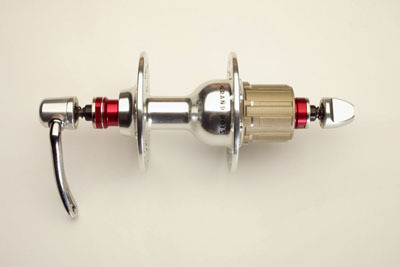 Grand Bois large flange cassette hubs are now available in 126 width. Available with either 32 or 36 holes. 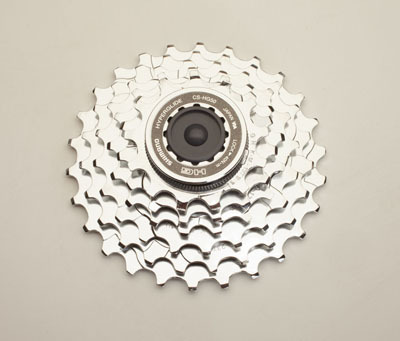 Shimano 6 speed 13-26 cassette. 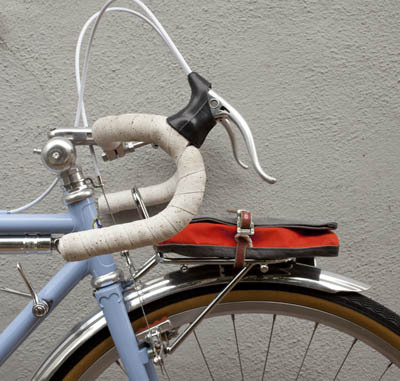 Viva straddle cable for MAFAC cantilever and centerpull brakes. 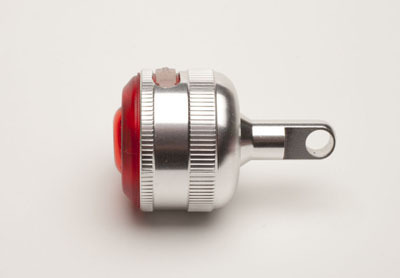 Viva shift cable with a small end compatible with Simplex shift levers. 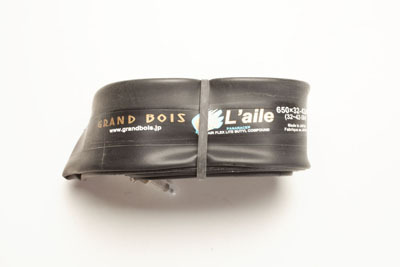 Grand Bois lightweight inner tube for 650B tires. Fits 32-42 tires. 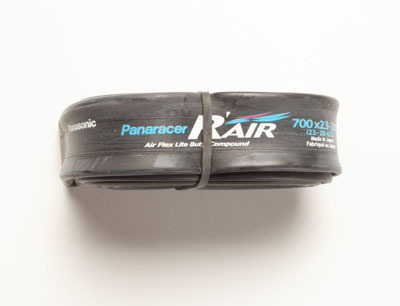 Panaracer lightweight inner tubes for 700C tires. Two sizes: 700X23-28 and 700X31-35. Spanninga Pixeo LED tailight with new chrome plated body. 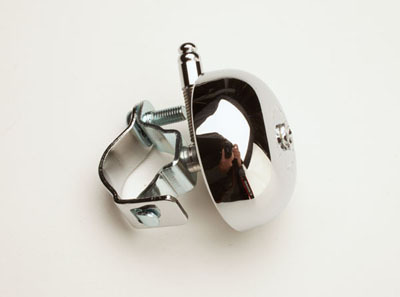 Chrome plated brass bell. 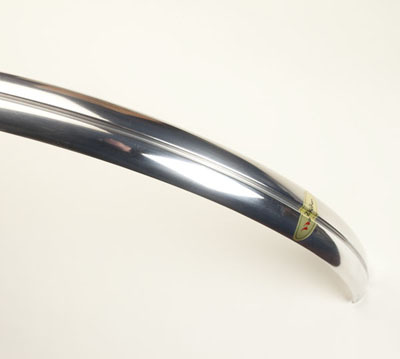 Perfect for those who want the sound of brass but like look of chrome. 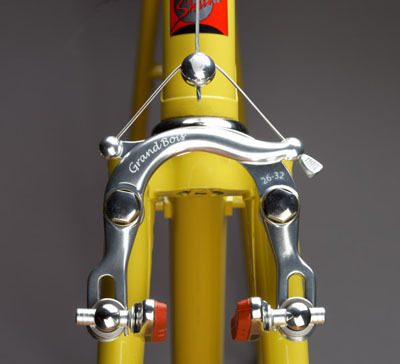 Grand Bois long reach centerpull brakes for 650B bikes (will work with 700c and other sizes too) with brazed on pivots. 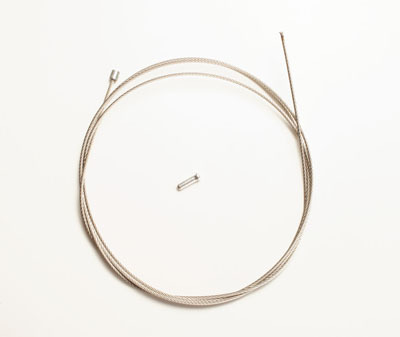 For those with Moultons, we have a limited number of fender sets to fit. 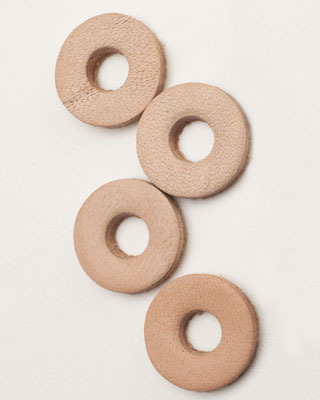 New from Honjo: a set of heavy duty leather washers for mounting fenders. 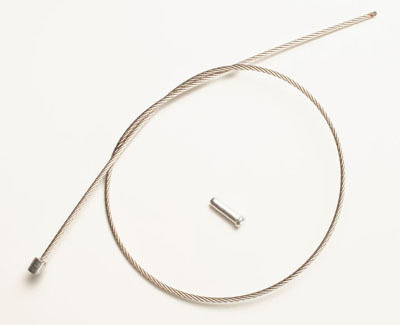 Prevents rattles and lessens the chance of stress cracks and loose screws. 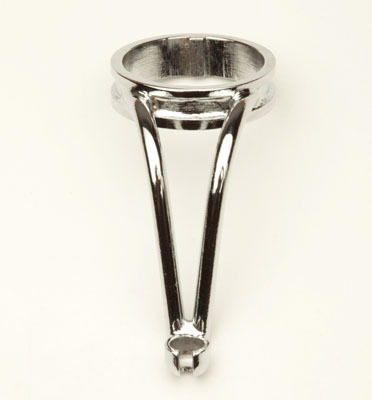 For all attachment points except under the fork crown. 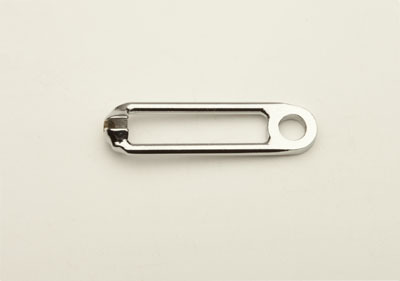 Size: 15 mm diameter with a 5 mm hole. 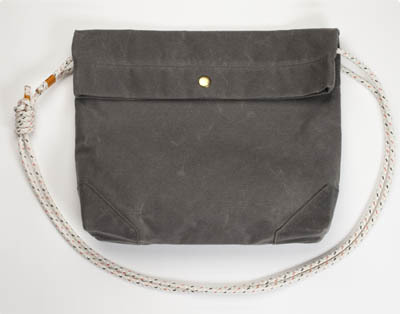 A medium sized bag designed to fit all your essentials for a day's outing in any weather. 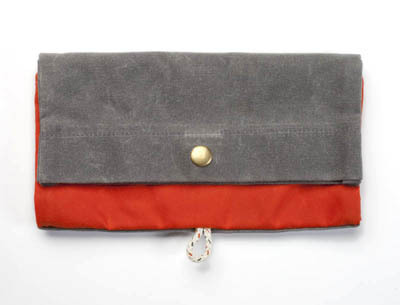 It features a fully lined main compartment with snap closure, an interior zipper pocket to secure your valuables, an easy access slip pocket in the back, and reinforced corners. 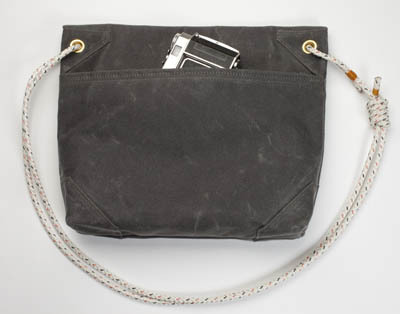 The marine-quality UK sourced rope strap slides to adjust from shoulder bag to cross body bag. 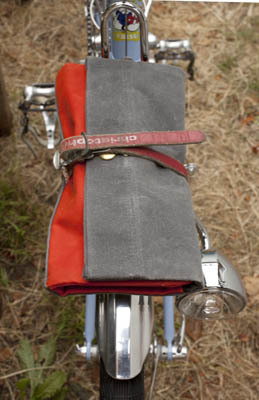 Handmade in New York City out of American-made water resistant waxed cotton, solid brass hardware, with a high quality Swiss zipper. 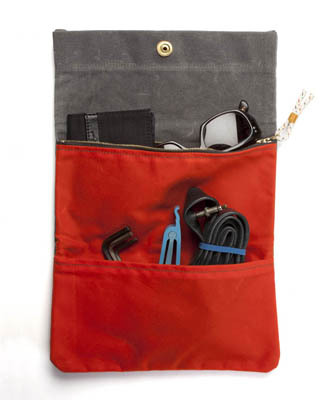 Features 3 different size compartments to organize tools, writing instruments, or any small items you may want to keep organized and protected from the elements. NOTE: we are temporarily out of stock but will have more of these as soon as possible.